Want to know how to erect a national monument? Ask the folks at New Energy Economy (NEE). As I write these words, there is quite likely a conversation happening somewhere in Washington about the Rio Grande del Norte and its consideration for National Monument status. When I spoke with Mariel Nanasi, NEE’s Executive Director, about the evolution of this project, she explained a complex and powerful fusion of grassroots organizing, activism and art. At the point when the coalition of many organizations and individuals working to protect the Rio Grande had been so immense and enduring that many of the involved parties were close to a state of burn out, a seemingly unlikely suggestion was made. As these organizers were considering the various legislative strategies they may employ to implement the monument status, a funder approached Mariel and proposed they make a book about the people of New Mexico and their love of the land to help their cause. I must admit, at this point in her story I had a quick moment of skepticism wondering how a book could have an impact on changing legislation, especially a book that was essentially a love letter from the people of the region to the land. I loved the idea, and I love the book, which can be viewed online here, but wondered about the kind of impact it could have. As Mariel told me more, my skepticism was instantly washed away. Her accounts of being on location and the tales of the people she photographed showed me that this was no ordinary project, and gave me confidence in the power of this unique collection of human sentiment to move the hearts of the politicians who would come to see it, including President Obama himself. Having a river and a region considered for National Monument status is indeed a serious task. In Mariel’s words, “I have never worked on a project that was more about love of place.” To learn more about how this love of place was transformed into this vast accomplishment, read Mariel’s testimony below. Join us and the NEE team in waiting with anticipation to hear the decision of our county’s legislators on the future status of this precious land. New Energy Economy has been a part of the Kindle community since 2010. 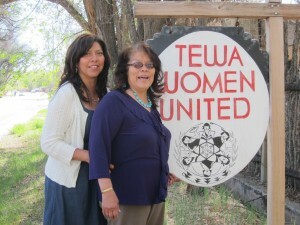 Their work spans from placing solar panels on local business to advocating at the legislative level for clean energy standards in New Mexico to empowering Native communities to make clean air decisions. Their website is filled with information and resources, be sure to check it out. 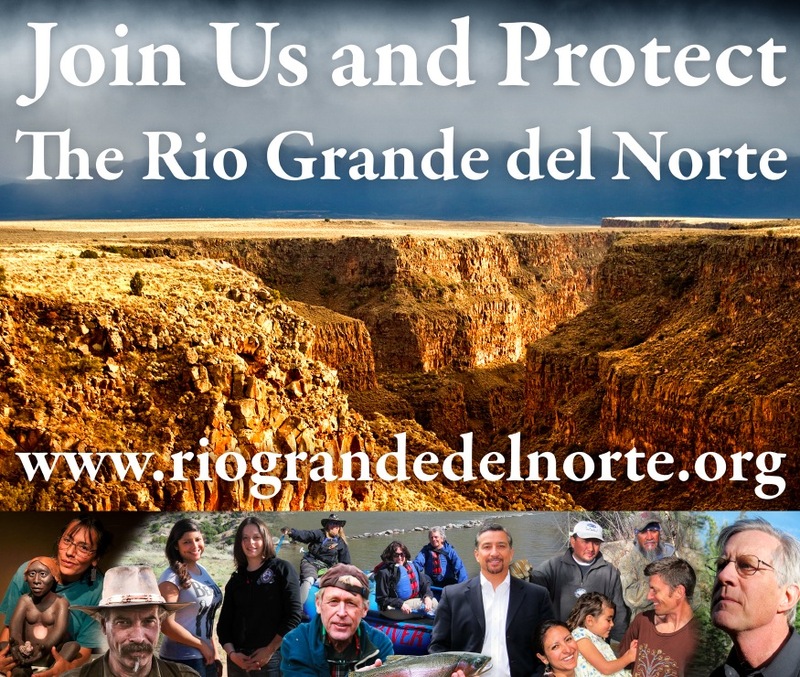 I was approached by a friend who had been working in coalition for years to bring about the permanent protection of the Rio Grande del Norte. He was worn-out and asked me if we could work together and strategize anew. Biologically diverse and spectacular, the Rio Grande del Norte is a swath of northern New Mexico wilderness spanning 236,000 acres. It is a rich wildlife habitat that offers a paradise for backcountry hiking and fishing, traditional land uses like hunting and gathering, an outstanding place for observing nature in all of its splendor, and a refuge offering solitude and spiritual rejuvenation. Multiple attempts to advance legislation over the past 10 years in the House of Representatives and Senate to conserve this vital area had died. How could we spice up the organizing efforts? How could we reach the people in power to act quickly and effectively? We figured out that the key to shaking the political stagnation out of its legislative gridlock was to touch the hearts of our sympathetic Congressional delegation and Secretary of the Interior Ken Salazar, and have them ask President Obama to invoke his powers under the Antiquities Act to declare the Rio Grande del Norte a National Monument. Our first idea was to create a photography book that depicted the way a diverse people interact with and love the Rio Grande del Norte. The breadth and depth of bi-partisan support for preservation of the Rio Grande del Norte transcends age, ethnicity and profession. I wanted to communicate how despite our individual differences that our lifestyle, traditions, livelihood and culture are all tied to this land. We took photographs of Hispanics, Native Americans, and Anglos. We showcased anglers in the water, a falconer, hikers, veterans, artists, a health insurance agent, a stock broker, farmers, business owners, students, a brewer, ranchers, tourists, writers, a bank teller, hunters, and more. We pictured them in the place they love doing what they love. It was one of the most fun projects I have ever been engaged in because people were unabashed advocates for the place they treasure. 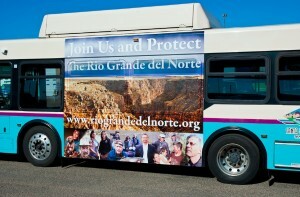 A collage was made of the people photographed and we bought advertising on the outside of buses that featured the collage with a bold and simple message: “Join Us and Protect The Rio Grande del Norte.” We sent a delegation of three people featured in the book to Washington to hand delivery the book to our Senators and Congressmen. We got unanimous Resolutions passed by the City of Santa Fe and the County of Taos in support of permanent protection, and those governing bodies sent their Resolutions to the Congressional delegation. We were strategic in choosing key stakeholders to meet with and show up at events (even tennis tournaments and parties) and intercept the Congresspersons and let them know how much we wanted the Rio Grande del Norte National Monument. People noticed, the coalition was reinvigorated, and the whole campaign was much better off. We interacted meaningfully with those we photographed and in turn they became advocates. We took creative and artistic risks, and leveraged the umph that we generated. The Rio Grande del Norte is a national treasure and we expect it will be declared a National Monument under the Antiquities Act by President Barack Obama any day now. On the hundredth year anniversary of the State of New Mexico, a National Monument designation is a fitting way to honor our people, our state.